Always one with her finger on the fashion pulse, Barbie’s wardrobe just got an interactive makeover. 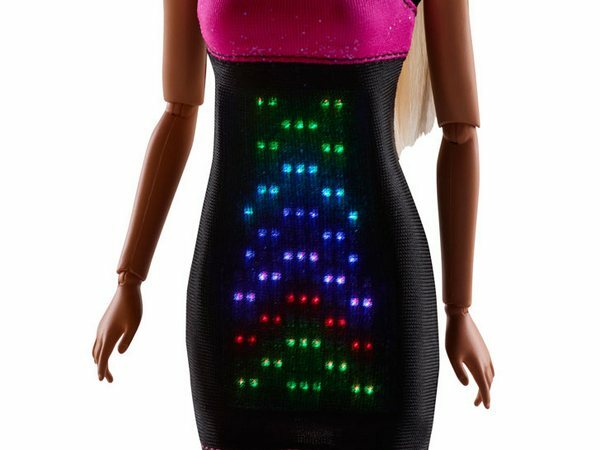 Barbie makes an on-trend fashion and tech statement with the brand new Digital Dress doll. Combining fashion, sound-activation and the latest LED and touch-screen technology, Barbie fans can create their own customised and animated digital designs which appear on Barbie’s dress. 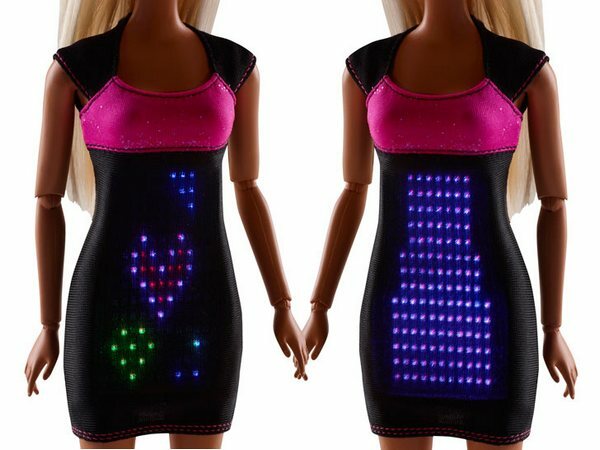 The Digital Dress doll’s black frock uses a small touch panel embedded with more than one hundred tri-color LEDs. The dress works in a few ways – create your own design, use the ready-to-go graphics or switch into what I will call ‘disco’ mode, and watch the designs respond to sound and music. Yes, it’s like a wearable flashing dance floor. Digital Dress Barbie is expected to go on sale in the US in August, priced at approximately US$50. Stay tuned for an Australian release.